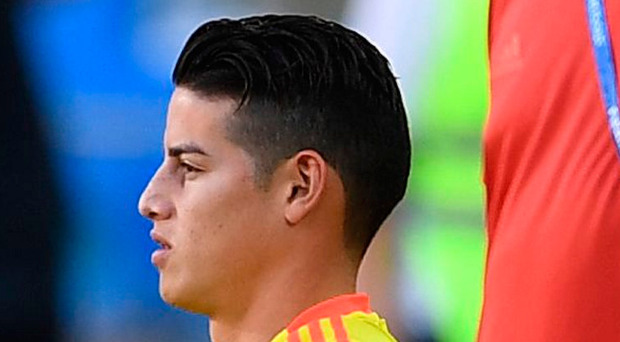 James Rodriguez could be fit to face England in tonight's World Cup last-16 clash, Colombia boss Jose Pekerman has said. The 26-year-old, on loan at Bayern Munich from Real Madrid, provided a scare for his nation when he came off during their win over Senegal last Thursday due to a leg problem. The 2014 World Cup Golden Boot winner only came off the bench against Japan in Colombia's first game having been deemed not fit enough to start, and his fitness is their biggest concern prior to meeting the Three Lions. However, Pekerman has not ruled Rodriguez out and is remaining hopeful he will have some involvement in Moscow. "We have had good news after his medical tests," Pekerman said. "After his MRI we know he doesn't have a serious injury. "We still have one and a half days to see how he feels and, as always, we hope he will be able to play the following games." Rodriguez was instrumental in Colombia's victory over Poland earlier in this tournament and it was at the last-16 stage four years ago when he scored twice in a victory over Uruguay. Former Manchester United and Chelsea striker Radamel Falcao missed that tournament through injury, but is the country's all-time top scorer and, despite his disappointing stints in England, it is he and Rodriguez who Three Lions fans fear most. "We really trust both players very much - both of them have been very important for our team," he added. "But sometimes when they haven't been able to play we still managed to perform properly. A team is not only two players." Falcao (32) joined United shortly after the 2014 World Cup, but looked a shadow of the player who had been so prolific for Atletico Madrid and Monaco. The striker scored just five times across two seasons with United and Chelsea, but insists he will not approach tonight's game determined to prove a point to English fans. "I didn't shine as I wanted to but that is the past," he said. "It is beautiful to be here to play against England. My team-mates are ready to give everything." Three Lions supporters have been giddy about the prospect of winning the World Cup for the first time since 1966. "It is normal for people in England to think they're favourites, but we want to concentrate on the weapons and skills we have," he stressed. "We know we have a great opportunity."